Norah Jones live at the Clay Center June 19th at 8:00PM! Norah Jones has announced Summer 2019 North American tour dates following the 9-time GRAMMY winning singer-songwriter’s tour of Australia and New Zealand in April. The first leg of the North American tour will kick off on the East Coast in Pittsburgh on June 18 and includes appearances at jazz festivals in Ottawa, Toronto, Montreal, and Saratoga Springs. The tour’s second leg heads out West beginning July 14 in Cheyenne, Wyoming followed by an unforgettable evening at Colorado’s famed Red Rocks with the iconic Mavis Staples. Norah Jones first emerged on the world stage with the February 2002 release of Come Away With Me, her self-described “moody little record” that introduced a singular new voice and grew into a global phenomenon, sweeping the 2003 Grammy Awards and signaling a paradigm shift away from the prevailing pop music of the time. Since then, Norah has sold 50 million albums worldwide and become a 9-time GRAMMY-winner. She has released a series of critically acclaimed and commercially successful solo albums—Feels Like Home (2004), Not Too Late (2007), The Fall (2009), Little Broken Hearts (2012), and Day Breaks (2016)—as well as albums with her collective bands The Little Willies and Puss N Boots. The 2010 compilation …Featuring Norah Jones showcased her incredible versatility by collecting her collaborations with artists as diverse as Willie Nelson, Outkast, Herbie Hancock, and Foo Fighters. Little Broken Hearts, produced by Danger Mouse, was a fascinating step in the artistic evolution of one of the music world’s most consistently intriguing singer-songwriters. With Day Breaks, Norah returned to her jazz roots while also proving her to be this era’s quintessential American artist, the purveyor of an unmistakably unique sound that weaves together the threads of several bedrock styles of American music: country, folk, rock, soul, jazz. Most recently, Jones has released a series of eclectic singles including collaborations with artists and friends such as Jeff Tweedy and Thomas Bartlett. Artist Fan Club Presale will begin February 5th at 10:00am and will run through February 7th at 10:00pm. 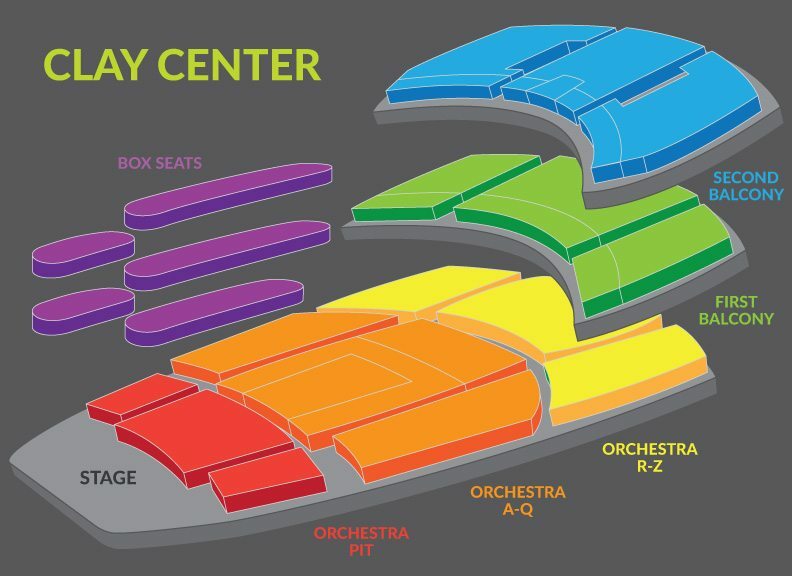 Ticket pre-sale for Clay Center Concert Club members will begin Wednesday, February 6th at 10:00am. Public on sale will begin Friday, February 8th at 10:00am. Tickets can be purchased at tickets.theclaycenter.org.